What is AgArts and what is its mission? 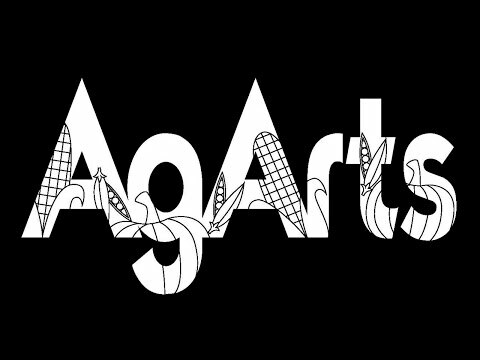 AgArts is a non-profit designed to imagine and promote a healthy food system through the arts. 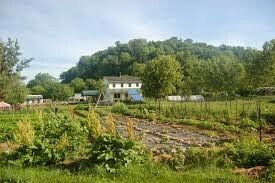 We are based in collectives throughout both rural and urban areas in the U.S. where we help fund and support artistic projects that envision better ways to grow and consume our food. We are a group of artists, farmers, and gardeners, and community members who are exploring the connection between agriculture and the arts. We are musicians, theatre, visual, literary, and movement artists. We are chefs, horticulturists, family farmers and beginning farmers. We are all joining together to create a bond among ourselves, and to educate the public about the benefits of sustainable agriculture. What kinds of projects have we supported in the past? Through donations and our Local Wonders fund-raising dinners, we’ve supported theatrical performances about immigrant farmers, Slow Music festivals on CSA farms, a touring rural women’s apron exhibit, an on-farm visual art and writing project with at-risk youth, an archive of the botanical drawings of George Washington Carver and more. . .
What are we sponsoring right now? Right now, we’re establishing Farm-to-Artist residencies in Iowa and beyond. We want to offer lodging and space for artists to have uninterrupted time to do their creative work. At the same time, we want artists to connect with and be inspired by local farming communities. We hope that artists will learn about agricultural issues through on-farm experiences and that this knowledge will be reflected in their work. Farmers, in return, will enjoy hosting creative people on their homesteads who will bring new energy and perspectives to their landscapes. In exchange for their residencies, the artists will give a workshop to local community members, teach a class in the schools, or give a reading, performance, or presentation of their work. We need farmers interested in hosting artists, and we need artists interested in applying for residencies. But first we need your investment in and support of AgArts to get rolling on our Farm-to-Artist residencies. So, click Donate or offer an in-kind service. With your help, we’ll create a bond among artists, farmers, and consumers, and imagine a better future for all.